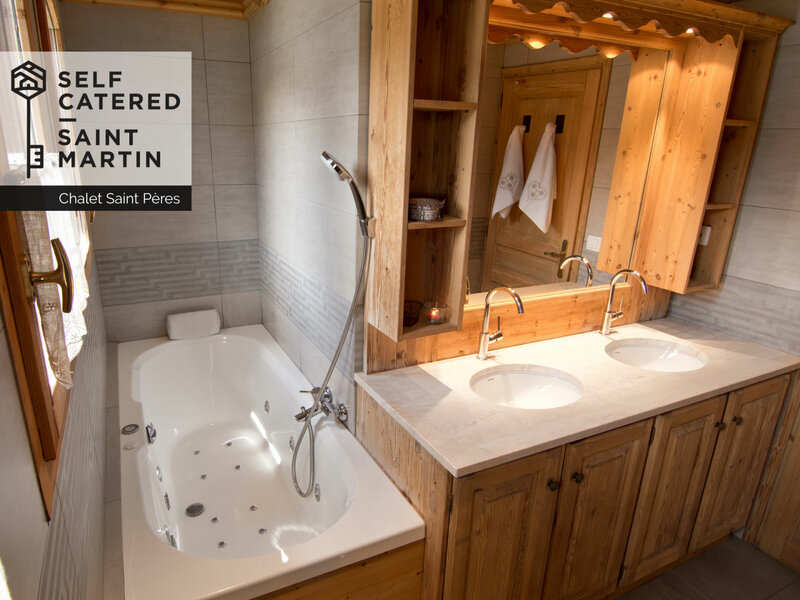 Chalet St Peres is a recently renovated duplex chalet situated within meters from the ski slopes and gondola in St Martin de Belleville. 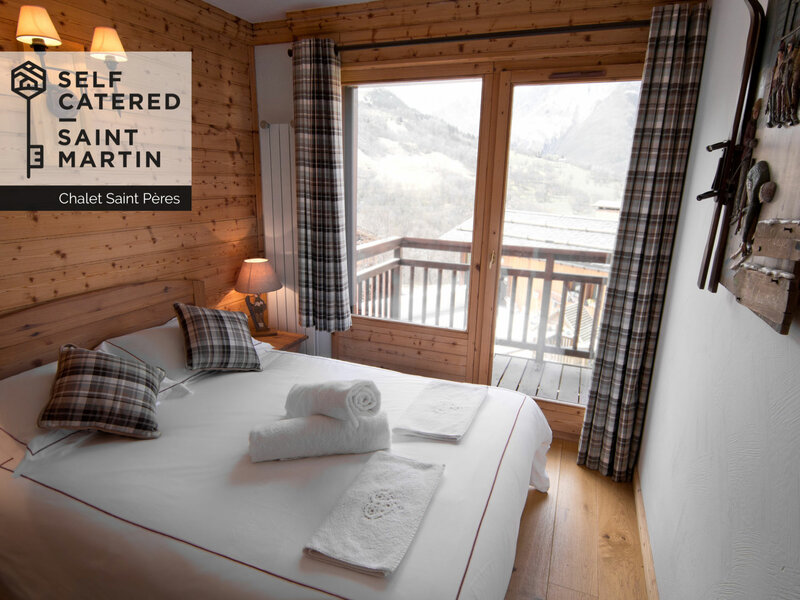 You can check the queues from your front door and ski back within less than 5 meters - This location makes Chalet St Peres extremely handy for a relaxing ski holiday for families and groups of friends alike! 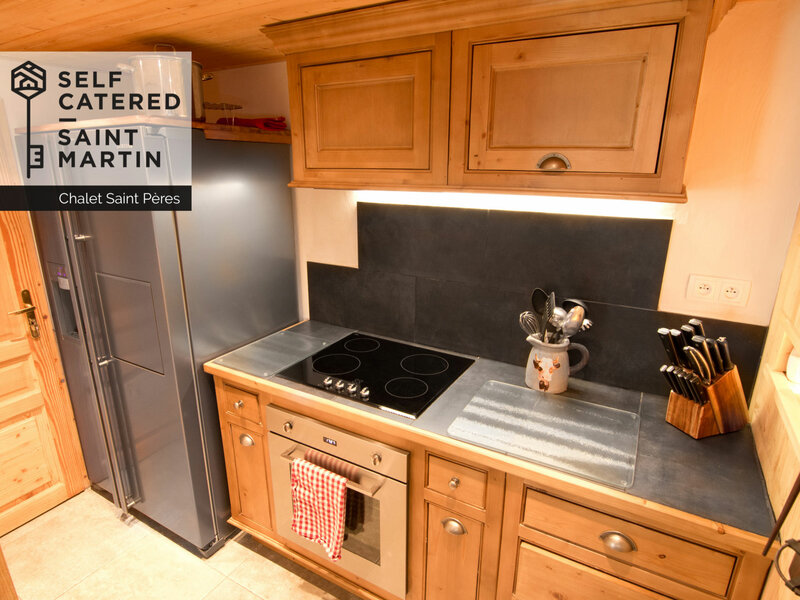 Ski rental shops, ski pass office, ski locker (just outside the chalet), ski schools and a couple of restaurants as well as a small supermarket are within meters from your chalet! 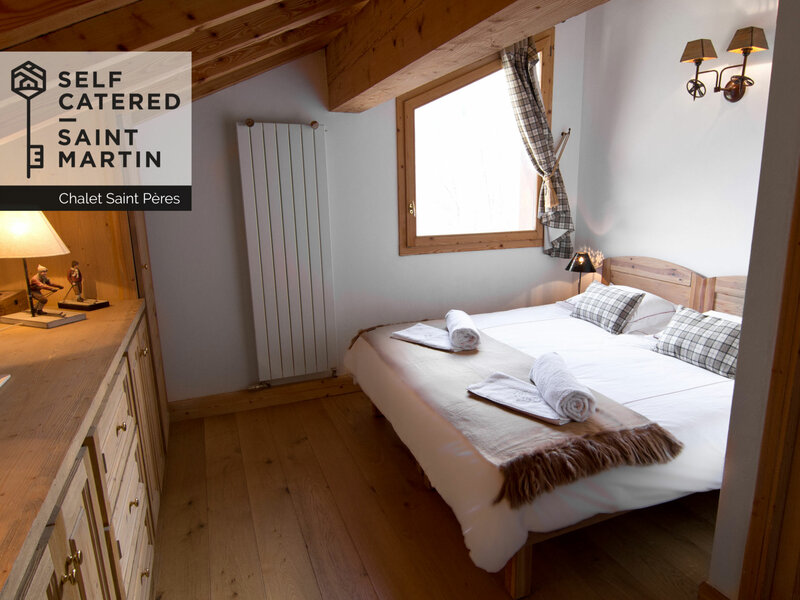 The inside of Chalet St Peres has been recently renovated to a very high standard. On the ground floor you will find an entrance hall with boot dryers and storage, a separate WC, spacious kitchen, living and dining area with real log fire and access onto a large sun terrace with breathtaking mountain views! 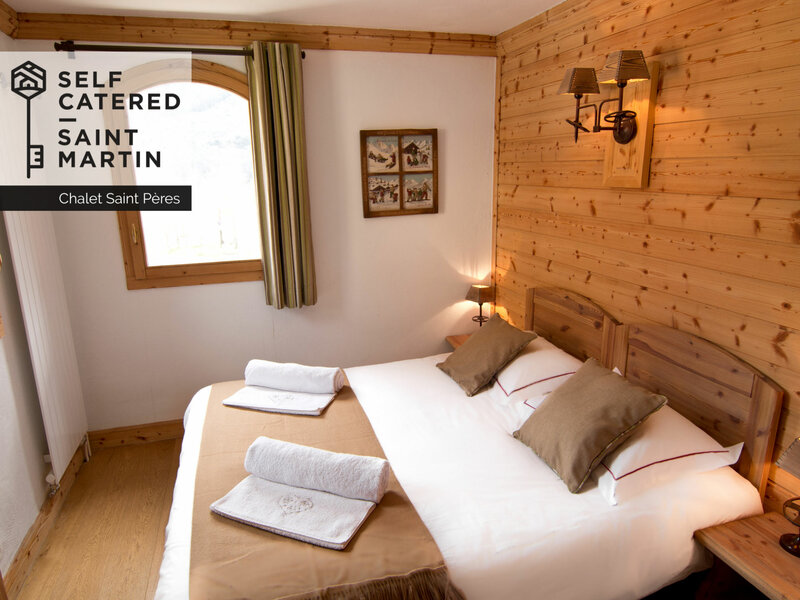 5 bedrooms are located on the first and second floor of the duplex chalet. 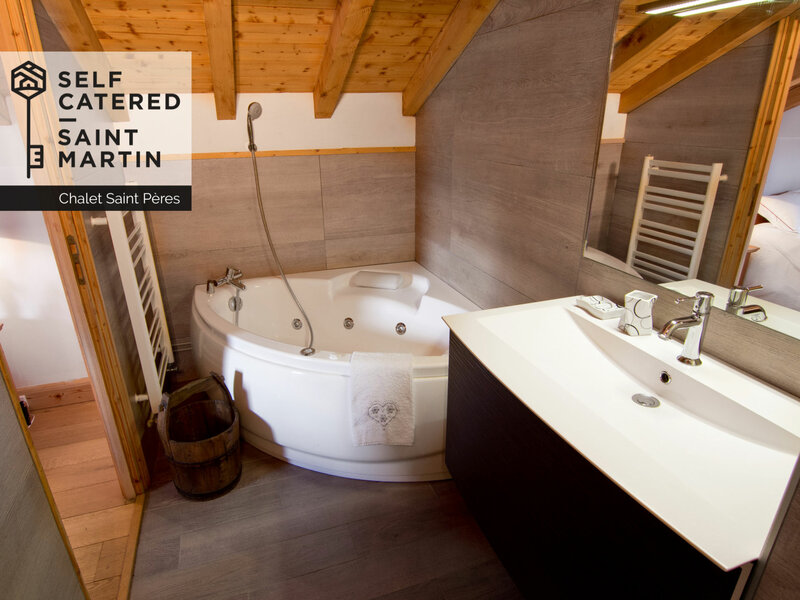 Three bedrooms have an en-suite bathroom whilst two bedrooms share a large family bathroom with jacuzzi bath. All bedrooms have been beautifully decorated with so many details that make it feel like a "home from home". 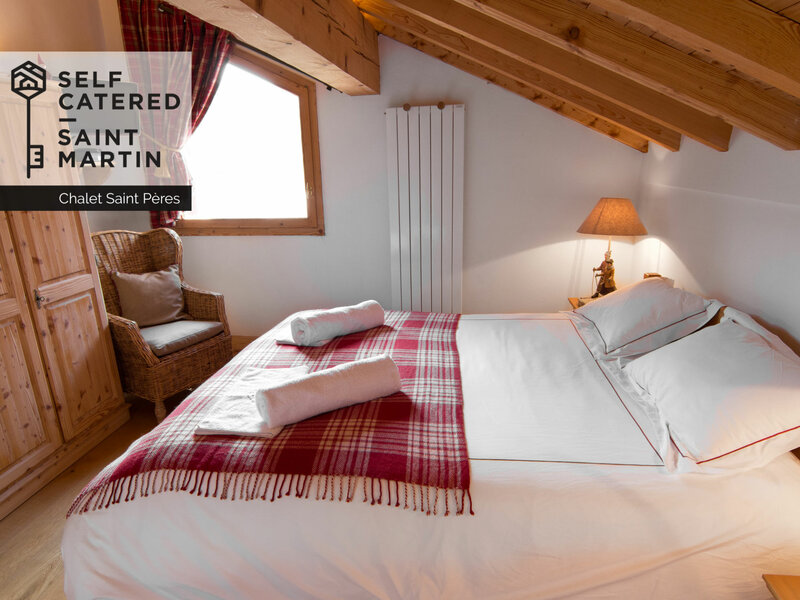 We simply ask you to treat Chalet St Peres as if it was your home! Catering can be organised via third party catering companies! Please simply get in touch! 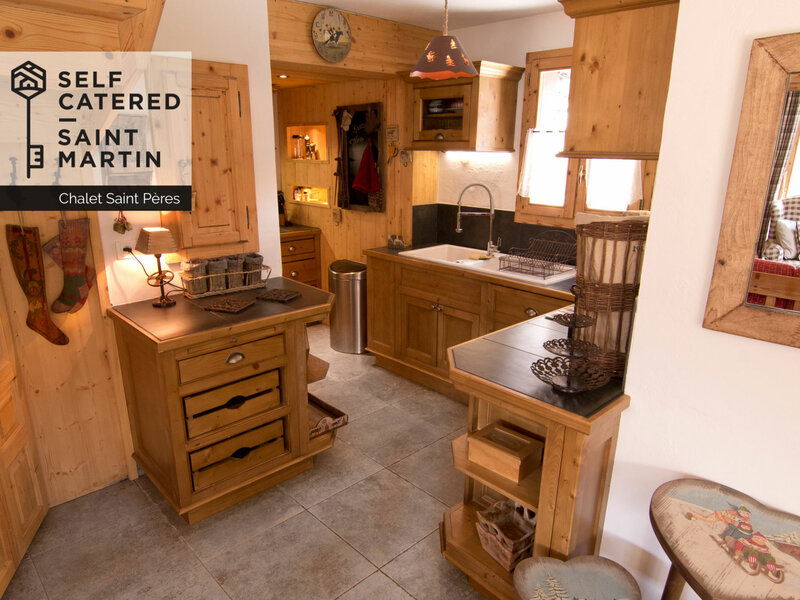 Nadine, Richie and Jess manage Chalet St Peres as well as several other self-catered chalets in St Martin de Belleville. Both of them live in resort during the season and are available 24/7 in case any problems occur. 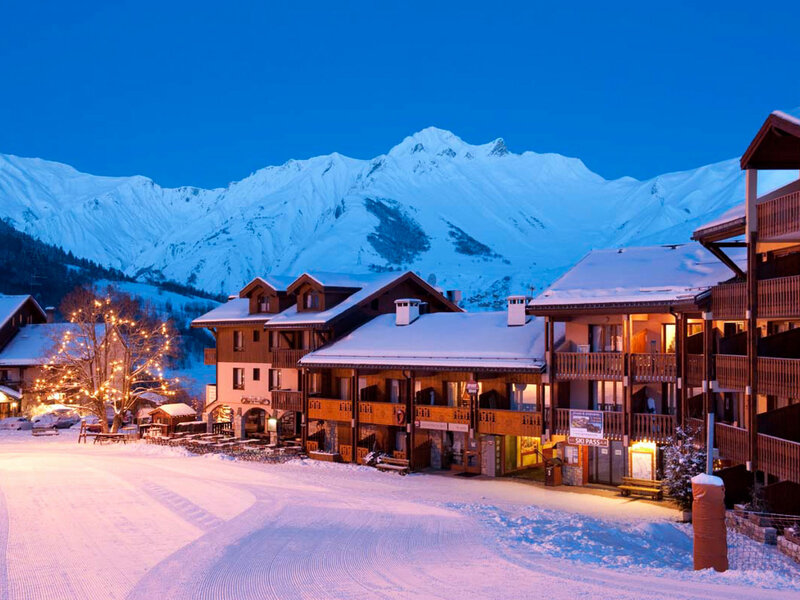 With their fantastic local knowledge they are more than happy to help you arrange everything from airport transfers, ski passes lessons and equipment hire! 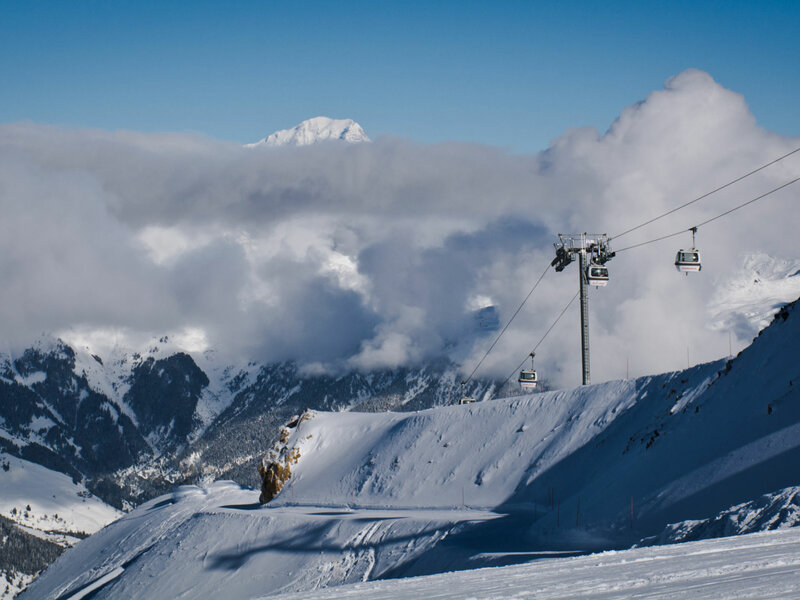 The THREE VALLEYS in the heart of the French Alps offers over 300 marked ski slopes with more than 600 kilometers pure skiing enjoyment! 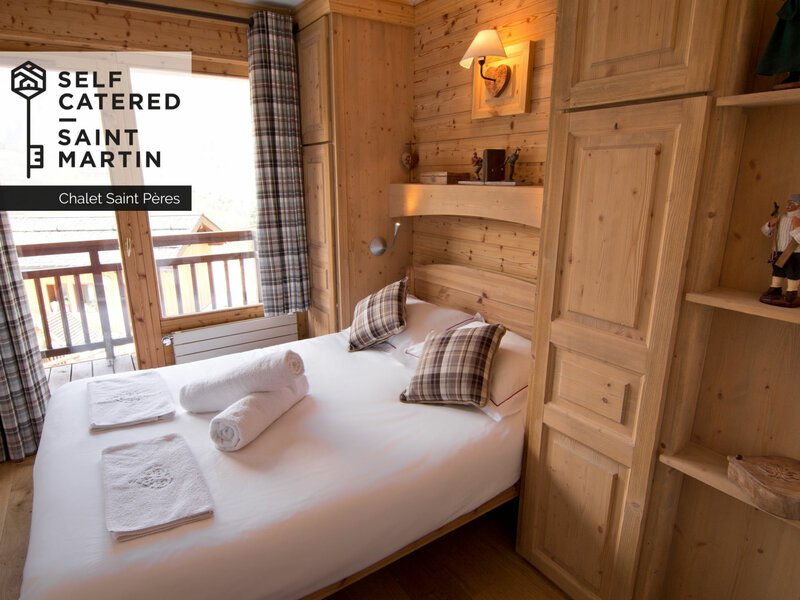 With more than 180 ski lifts all 8 ski resorts including Meribel, Courchevel, Val Thorens, Les Menuires, Orelle, La Tania, Brides les Baines and of course Saint Martin de Belleville are fully connected without having to take your skis off your feet! From easy green runs to difficult diamond blacks and a virtually unlimited area of off-piste adventures - There is something for everyone! 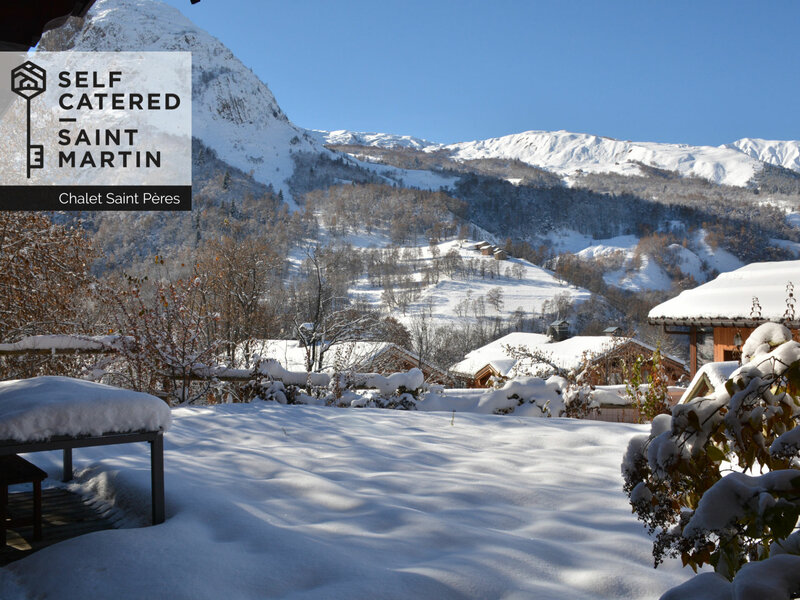 SAINT MARTIN DE BELLEVILLE is probably the prettiest resort in the Three Valleys, if not even in the whole of the French Alps! This gives you THE BEST OF BOTH WORLDS! 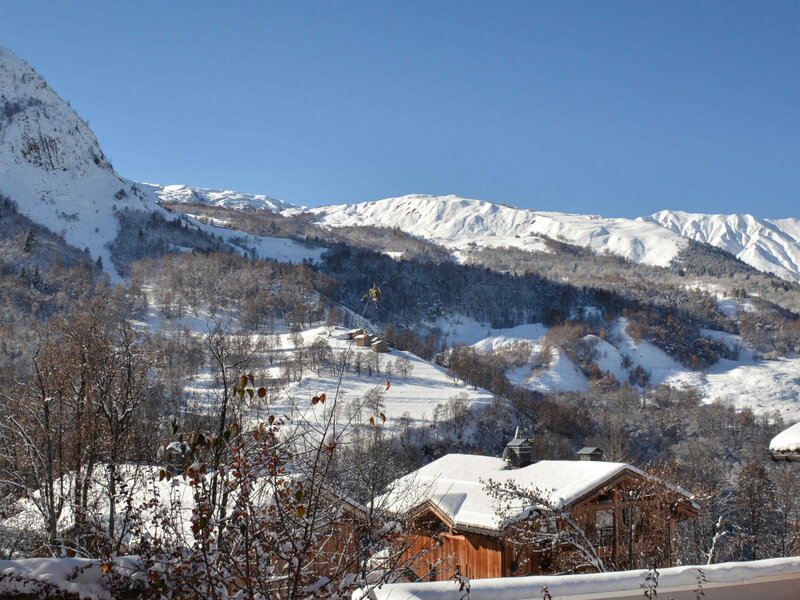 Ski the worlds largest ski area whilst staying in a beautiful, traditional Savoyard village!